Having a 3PL in your corner means a positive redistribution of focus. Many 3PLs have extensive experience in picking and packing high volumes of small orders quickly and accurately—expertise that can be invaluable to companies who are new to the e-commerce game. Retailers with existing distribution operations can also opt to use a 3PL to handle their e-commerce fulfillment while they concentrate on distribution to their stores. Utilizing a 3PL allows E-Commerce companies to wade into new waters. Be it new markets or new product offerings, this approach gives the client valuable insight into the actual potential prior to making a major investment, which can offer flexibility that a stand alone business might not have available. Depreciation is a very real expense when you’re running your own DC. By working with a 3PL, you can embrace the benefits of added tax advantages or the maintenance associated with the capital equipment you might have added to your facility. 3PLs offer a distinct advantage as well in the shipping cost category. Many 3PLs service multiple clients from the same facility. This allows them to consolidate parcels from individual clients into LTL (less-than truckload) or truckload shipments and negotiate lower rates. You want to be closer to your customer so they can experience that Last Mile service that is so important. Partnering with a 3PL can offer multiple locations to house client inventory, meaning faster deliveries and better customer service. In addition, returns are a problem for everyone. Many 3PLs specialize in handling returns, offering clients access to secondary markets, third-party wholesalers, and recyclers for damaged products. Hiring and firing, health insurance, union issues and the other responsibilities that come with managing a work force are often more than a growing company wants to take on. Experienced 3PLs can assume these tasks along with the paperwork and reporting burdens that go with them. Seasonal E-Commerce struggles are no joke, and being prepared for them requires flexibility and adaptability and Because 3PLs typically serve a diverse clientele with ever-changing products, they design their facilities to flex easily. This makes them well suited to handle fluctuating volumes, such as seasonal peaks. With new technologies and improvements being introduced each year, the desire to see how they could affect and improve your operations is justified. Similar to test driving a car so you can try out the model before buying it, selecting a 3PL that uses specific technologies allows clients to test the capabilities of those systems before buying them for their own facilities. The fortunes of e-commerce companies are notoriously hard to predict. You can be at the mercy of consumers, environmental factors, or the markets themselves. Using a 3PL allows companies to scale their operations up and down as markets fluctuate without the risks of investing in infrastructure or personnel, making it easier to ride the wave and stay balanced while doing it. 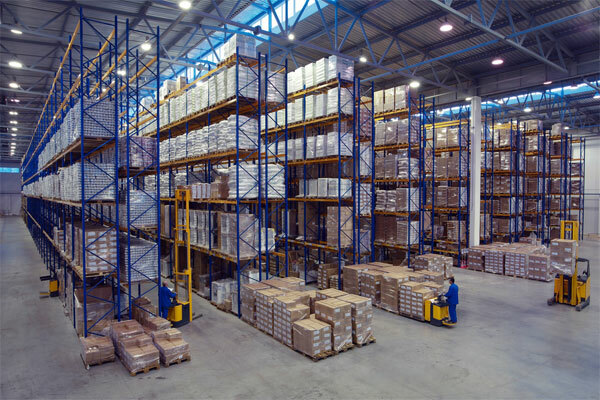 Don’t overlook how a 3PL can benefit your company’s E-Commerce growth strategy. By harnessing the power they can bring to your distribution needs, you could see your business break through it’s potential.